Putin on France visit to mend strained ties with West – Royal Times of Nigeria. Russian President Vladimir Putin has started an official visit to France in what many see as an attempt to mend strained ties with the West. 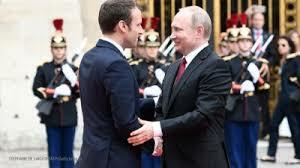 Putin arrived in Paris today and was welcomed by newly-elected President Emmanuel Macron at the Palace of Versailles. The two leaders started face-to-face talks at Versailles. The Kremlin said the visit to France will be a chance for Putin and Macron to reach a better understanding on key disputes, including the situation in Ukraine and Syria and how the European Union and Russia should interact in the future. 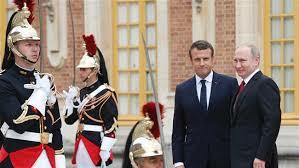 Macron is the first Western leader to speak to Putin after the Group of Seven summit in Italy over the weekend. Macron vowed in his briefing with reporters after the G7 summit that he would try to have a “demanding dialogue” with Putin, especially regarding the conflict in Syria, where Russia and the West support the opposite sides of the war.